Fall has become synonymous with Pumpkin Spice Lattes and the latest fashion in chunky sweaters. I'm a huge fan of anything pumpkin-flavored and am always on board to pull out the cozy clothes, but fall is also my favorite season to take photos. I am always drawn to photos that have nice, popping colors- and with fall in Alaska, the colors are beyond rich. This weekend, the Love of my Life and I took off into the woods behind our house for a nature walk. It was the perfect way to spend a Sunday afternoon. We were on the hunt for mushrooms, which is a new hobbie for us-- but seemed like the natural progression for our foraging since we are both obsessed with berry-picking. Tony with a nice-looking Birch Bolete. It's days like this that make me so thankful I live here-- and days like this that I must remember when it's -30 outside and I haven't felt my toes for what seems like weeks. 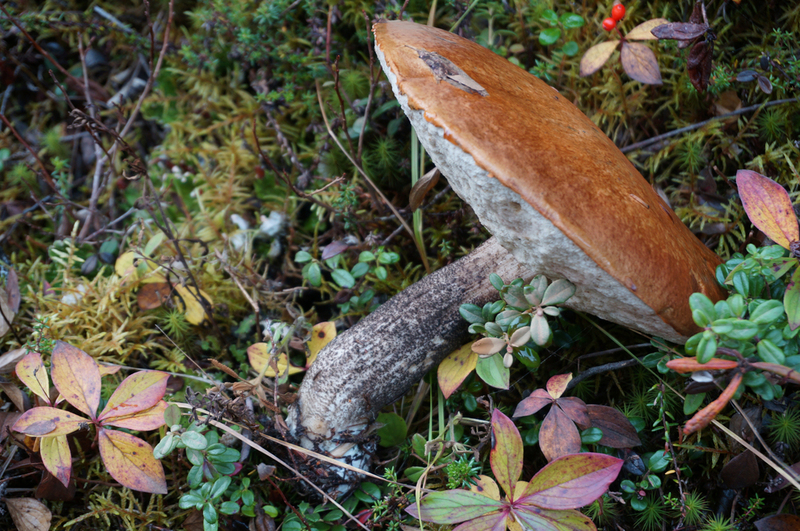 The walk was invigorating, and it was fun searching the forest floor for mushrooms because we found so much more! 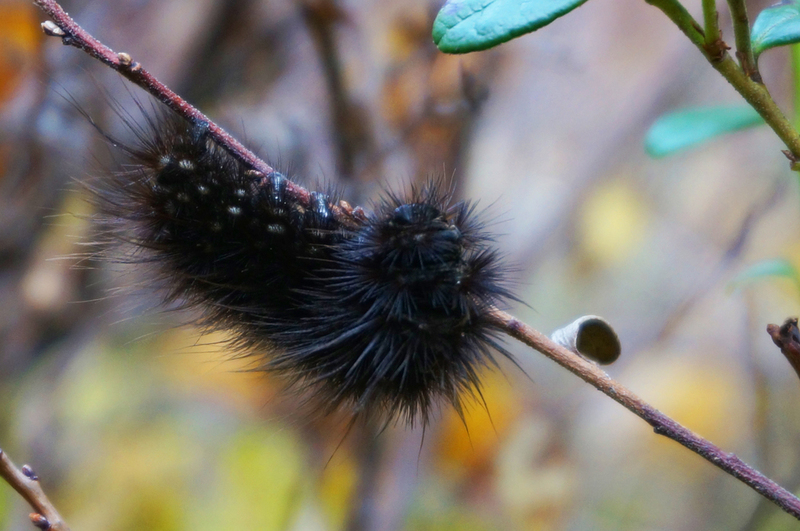 I spotted a huge, furry caterpillar and lots of mushroom varieties that we weren't searching for.